Riding your bike or walking is a healthy way to get to work. Most buses have bike racks on the front, making it easy to ride to the stop, then hop on. 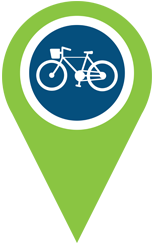 See bike routes by clicking on the bike icon in your commute options results. You can also use our Regional Trails & Bikeways map to find the most bike-friendly route. Find info about cycling events, connect with other riders, and get tips to safely ride from BikeWalkKC. 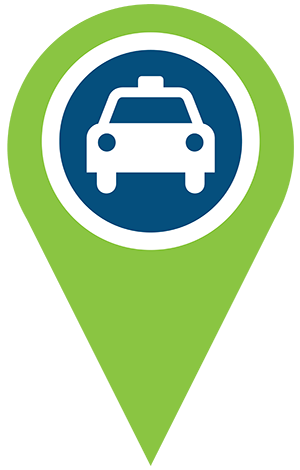 If you ride your bike regularly, you can register for the Guaranteed Ride Home program, which provides a free taxi cab ride home from work in case of emergency. Have a short trip in the city but don’t own your own bike? Take BCycle! Kansas City’s bike share program has stations throughout the heart of Kansas City that allow you to ride, return and repeat on a one-time basis or through an annual membership.